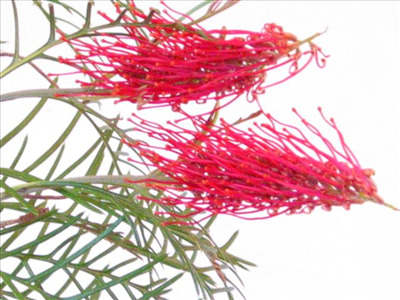 Dense ornamental large shrub with red toothbrush flowers appearing mid winter to spring. Prefers well-drain soils in full sun or partial shade. Drought and frost tolerant. Excellent screen/hedge and landscape shrub. Attractive hedge in flower. Cut flower. Great bird attractor.